I apologize for the delay in posting this. I had an unfortunate encounter with a bee or wasp or something stinging yesterday morning that left my eye swollen and runny for the day. Computer time was limited as a result. Thankfully, I am back full force this morning. I was off on almost every one of my anticipated numbers for this week. But I’m pretty happy with the end result. Sea Cadet decided to get a week ahead on his car insurance payments AND set his payment date with the days he gets paid from his job. As a result, I went ahead and paid more than we needed to towards our auto/renters insurance so we are a little bit ahead on that bill now. Yes, I did, I paid towards my student loans. More on that in another post. And I know it’s not much, but it’s a extra debt payment and I’m proud of it. Baby steps, baby steps! 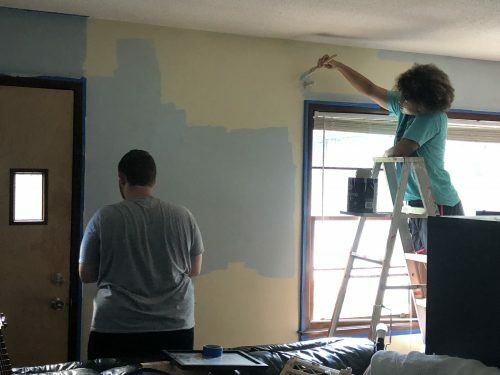 We did splurge a little and bought some paint to paint our living room. We’ve been here nearly a year and a half and who knows the last time the walls were painted. Sea Cadet patched them when we moved in but they had just remained an ugly construction puke yellow with all these spackle spots. Sea Cadet and Princess painted the whole room this past weekend. We LOVE it! Sea Cadet and Princess spent their whole Saturday painting. Bonus money! My single credit card is a cash back rewards card. It’s not much but it’s something and I finally converted all my accrued points to cash AND put them into my savings account. I have now set it up to automatically convert the points to cash every time I earn $20 and put it into the savings account. Since converting this past week, I’ve already earned another $10 in points. So I could easily get $20 or so dollars back each month which may not offset the $63 (average) interest I’m paying right now monthly, but it does help. It’s going to make our living situation a bit tight as Sea Cadet is already living in the living room, but we will make it work. And I am VERY HAPPY that my son is coming home. I know he has learned some hard lessons these last couple of years. But some of us (myself especially) sometimes have to learn lessons the hard way. Ya’ll know that about me, don’t you? 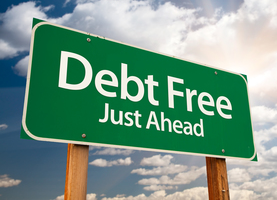 You paid more on the student loan than the interest you accrue, if you keep it up you are well on your way to paying it down and off. Good job!